Seventeen-year-old Laken Mitchell thinks using her parents’ time machine to send abused girls to the last century will make their lives easier. And it does, until dead bodies start turning up. 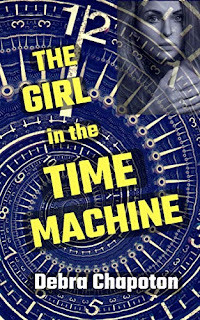 Laken convinces her best friend Skylar to time travel with her to 1994 so they can rescue one of her “victims.” When the girl dies as soon as they awaken in 2020, Laken and Skylar time travel back to un-rescue her, but that creates a paradox. Laken returns alone to an aftereffect she couldn’t have imagined. If she tries to change the past one more time either she or her best friend may cease to exist. Get your copy today at this price. Click HERE and begin the adventure.